In addition, Sir Tim has created a company called Inrupt to build Solid's basic infrastructure. 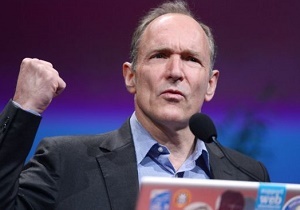 "The web has evolved into an engine of inequity and division, swayed by powerful forces who use it for their own agendas," wrote Sir Tim, on a blog on the Medium website. "People want apps that help them do what they want and need to do - without spying on them," wrote Sir Tim. "Apps that don't have an ulterior motive of distracting them with propositions to buy this or that." "With Solid, you will have far more personal agency over data - you decide which apps can access it," Sir Tim said. But tech journalist and commentator Bryan Lunduke is sceptical about Solid's chances, saying the technology is "overblown". And identity and privacy researcher Steve Wilson asked: "Even if people could control their personal data, what does Solid do about all the data created about us behind our backs?